As your business expands, the accounting errands go multi-fold. You need software which makes use of robust technology and is optimized for huge data files and better usage of a network. 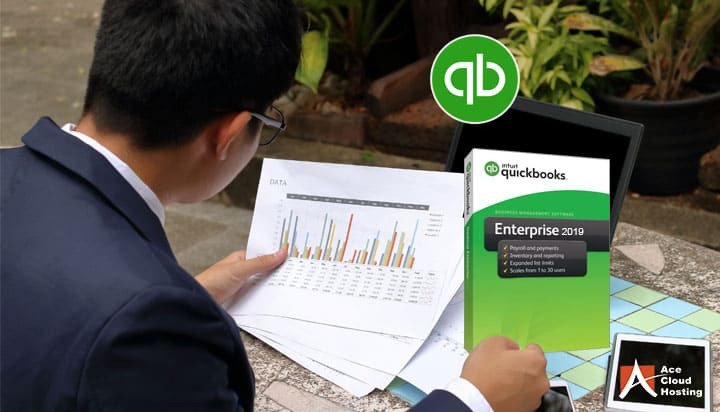 QuickBooks Enterprise application can accommodate data of more customers as well as inventories without compromising the quality or efficiency of managing accounts. It gives accountants, CPAs, and employees an improved accounting experience with features for easy customization of the forms and invoices, single-click report creation, and more. While QuickBooks Enterprise offers many features to make accounting easier, when hosted on the cloud, you can amplify its efficiency to a great extent. The ability to access software anytime from anywhere has given users flexibility never thought before. Below are more benefits offered by QuickBooks Enterprise Cloud Hosting. With cloud-hosted QuickBooks Enterprise, you don’t need to install the software on your system or buy hardware as it is installed and run on terminal servers (however, a license of QuickBooks Enterprise would be needed). 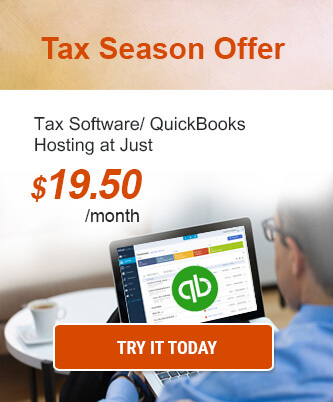 You only need to pay a monthly fee per user to the third-party QuickBooks Enterprise cloud providers. You can scale up and down server resources according to your business needs. You also have the option to cancel the subscription anytime and take your data back. With the cloud, you can access QuickBooks Enterprise with an internet connection. As cloud providers use the latest technology, you can get the ease of access and highest uptime. Data security is another significant benefit of QuickBooks Enterprise Cloud. Combination of desktop and software is great for maintaining data as it can eliminate paper records. However, that’s until something happens to the desktop. This “Something” can be a power surge/outage, earthquake, hurricane, hard drive crash or as catastrophic as fire. Security vulnerability because of negligence in data transfer or external attacks is another concern with data on the local device. Cloud hosting is a way to protect your important files and data. A cloud-hosted solution protects data on a remote server with security methods, like anti-malware, anti-virus, firewall, multi-factor authentication, and others. Cloud service providers also take regular and multiple backups of your data, making it easier for you to restore it anytime you may need. Traditionally, accountants had to send files back and forth over email, which was a time-consuming process. QuickBooks Enterprise hosting lets your business enter into the age of mobile and remote worker as all authorized users can access and work on the files at the same time. It further increases collaboration among users, thereby increasing productivity. Business owners or employees are no longer tied to their desks as cloud lets them access their critical data from anywhere and anytime through any device. Even when on the go, you can take out your smartphone, log in to your account and get access to the QuickBooks Enterprise software right on your mobile screen. This benefit of cloud also makes you available to your clients all the time. One of the most commonly stated reasons for accountants or CPAs for not backing their data is a limited time. 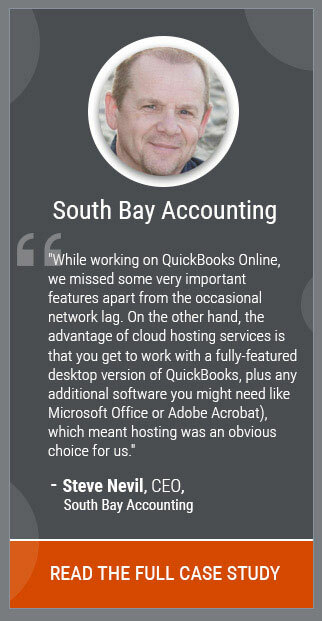 When your QuickBooks Enterprise accounting software is hosted on the cloud, you don’t need to spend time for backing up data. All files or data are automatically and continuously backed up. On the cloud, multiple copies of files are kept in highly protected data centers at different sites by the service providers. Additionally, data transfer is secure as it is enabled over highly encrypted data center protocol. It is recommended for businesses to have a disaster recovery plan in case an emergency occurs. After all, losing critical accounting data can cause massive loss to a company. Cloud is the perfect solution for small accounting firms to store their data. As data is stored at a remote location, it can be retrieved and accessed at any time. Cloud technology is making client collaboration a reality for many accounting firms, without spending a considerable amount. Hosted QuickBooks Enterprise solution allows accountants, bookkeeper, or employees to log in simultaneously as well as work directly on files online. It is also helpful while working remotely and even secure across different locations as it is updated in real time. Simplified tracking of expenses and reconciliation of transactions would help you to manage cash flow efficiently. Sending multiple reports and customization of invoices makes the data management process easier. As a secure and cost-effective way of storing data, the hosting of QuickBooks Enterprise software also boosts productivity and efficiency in the office. Once all your employees or accountants are trained on this new platform, you will find it easier and faster to sort files, do reporting and contact clients as all operations are automated on the cloud. Also, you also get the benefit of seeing all the financials in real-time. Transferring information between devices, saving or backing up of data is done by the cloud provider, and you need not to worry about it. Thus, you can stay on top of your client’s requirements to provide better services. Businesses of all sizes and industries are now moving their operations to the cloud. 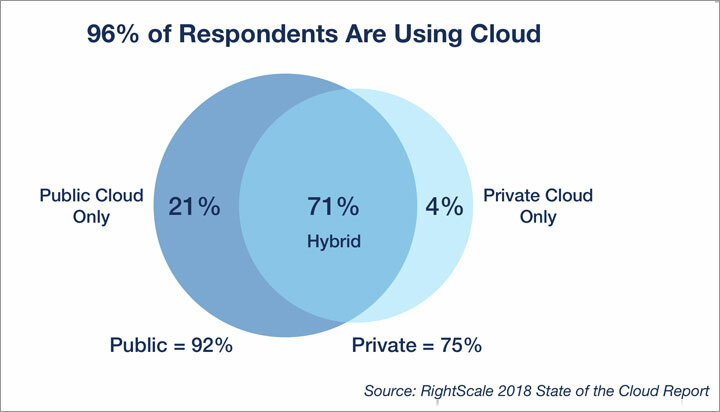 According to research by Right Scale, both private and public cloud adoption has increased in 2017. The survey shows that 92% of respondents are adopting public cloud and 75% are adopting the private cloud. As a result, the overall 96% of respondents are using at least one public or private cloud. Many ambitious small business owners are drawn to the fact that cloud can help them in their business growth and profitability. According to a survey conducted by Deloitte, 85% of small business believed that cloud-enabled their company to grow faster, thereby helping them to overcome various obstacles to scale and flexibility challenges. Considering the importance of business sustainability – growth & profitability in the competitive market, businesses need to move their QuickBooks Enterprise to the cloud. Businesses, whether small or big, can make the most out of their processes by hosting their QuickBooks Enterprise on the cloud. The benefit of increased user capacity, easy accessibility, and high security make cloud a worthy investment. Now that you know these benefits of QuickBooks Enterprise Cloud Hosting, why don’t try it for free! Benefits of Sage 50 Hosting That You Can’t Afford to Ignore 7 Reasons Why Your Business Should Use QuickBooks Enterprise Hosting How Cloud Hosting Cuts through the Complexity of Enterprise Accounting How Is QuickBooks Enterprise Hosting Fixing Business Challenges?